SantaCon: a yearly excuse for thousands of people to come together, dressed as Ol’ Saint Nick, and drink. This year, however, there are some new rules. For those coming into the city on Saturday, December 8 to take part in the festive bar crawl, you’ll have to wait to begin the fun until you’ve arrived. 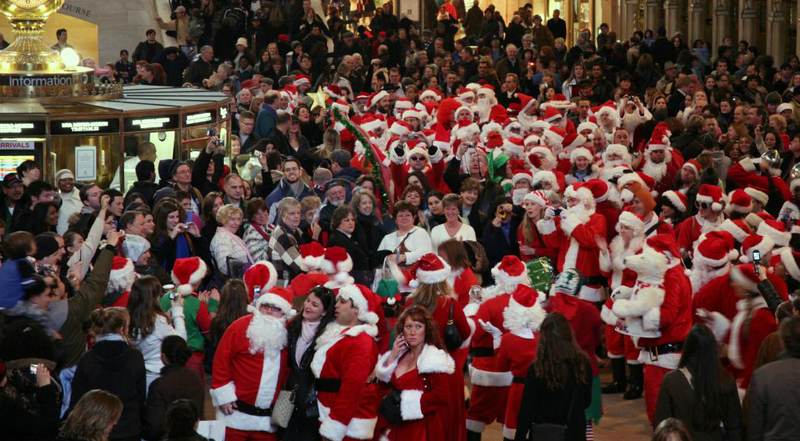 For the duration of SantaCon—through Saturday and into the morning of December 9—the Long Island Rail Road, Metro-North, and NJ Transit are all banning alcohol consumption during the commute. In the MTA’s press release it was noted that this ban on alcohol during the weekend of SantaCon has been in effect for the past five years.